At Moorooka Nissan, we understand the importance of knowing that your vehicle is being left in the best hands when you book it in for a scheduled service. 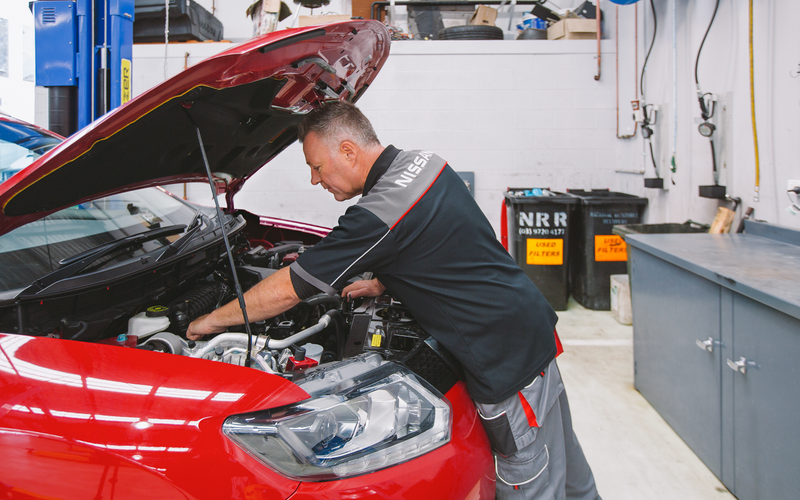 That’s why every New, Demo or Used Nissan that is dropped off at our state-of-the-art service centre is serviced by factory-trained technicians using only genuine Nissan parts. Each and every vehicle we service is quality checked by an experienced and qualified technician. As part of the Nissan program, our team is committed to upholding the Nissan Dealer Service Philosophy. This means we guarantee the quality of our workmanship, ensuring that all of our technicians are trained to Nissan’s high standards, Deliver consistent and superior standards of service and most of all we trive our selves to better understand your needs so that we can exceed your expectations. We’ve also introduced Nissan Capped Price Service for all Nissan vehicles first registered from 1 January 2018 onwards. That means that we’ve capped the maximum price you’ll pay for the first six services according to your vehicle’s service schedule. This program gives our customers full transparency and the confidence of knowing how much they’ll pay whenever they service their car at our Moorooka Nissan service center. If you would like more information about our Nissan service center or any of the Capped Price Service programs, please contact the team at Moorooka Nissan on (07) 3186 0556 for more information today.